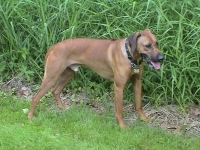 Titus is a Rhodesian Ridgeback who was lost in Milwaukee for 26 days. "Titus got out of the house this morning. We've been looking for him all day, and we can't find him. We've looked everywhere. He's been loose for 12 hours." If I ever wanted to faint, it was the moment I heard those words over the phone. It was the evening of April 1, 2011 and it was dinner time on the first full day of my trip to Arizona. I was literally dizzy, and I didn't know what to do or say. How did he get out? He broke through a first story window of a single family home located at 51st & Hampton in the City of Milwaukee. Let's just say he didn't like to be alone, and I flashed back to the all of the times he had escaped cages (about 100 times) and houses (a few times), but he NEVER ran away or got lost before. It wasn't anyone's fault. 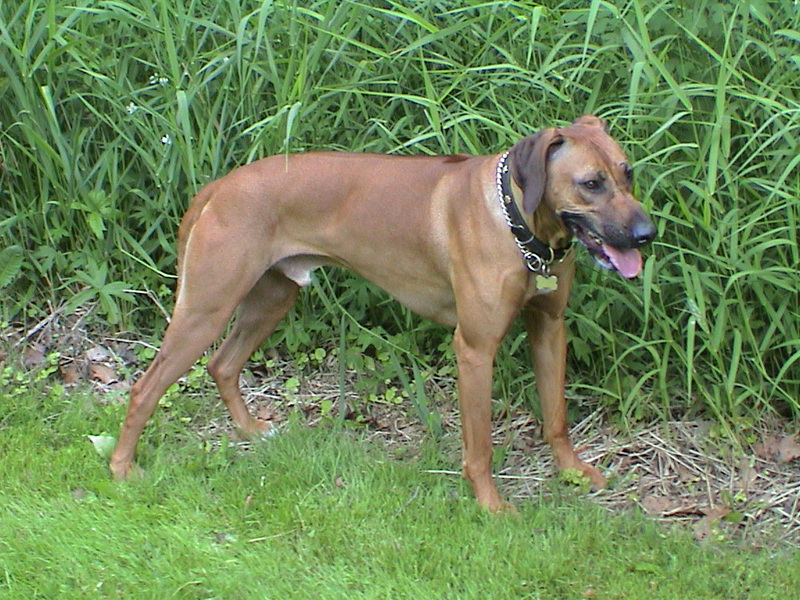 My 8 1/2 year old Rhodesian Ridgeback was on the loose. I thought of my friend, my buddy, and I felt so close to him. I knew everything about Titus. First of all, he loved me, following me around, and doing things with me. Second of all, he liked to RUN. Our full-time hobby was exploring the off-trail sections of the parkway, and we went everywhere. All year round, just me and Titus, roaming the backwoods together, having the time of our lives. From that minute forward, I devoted my life to finding my lost "son". Like most pet owners, my dog is like my child -- it's the kind of love that everyone can appreciate, and it's very pure. I loved Titus, he loved me. I would have given anything or done anything to get him back. 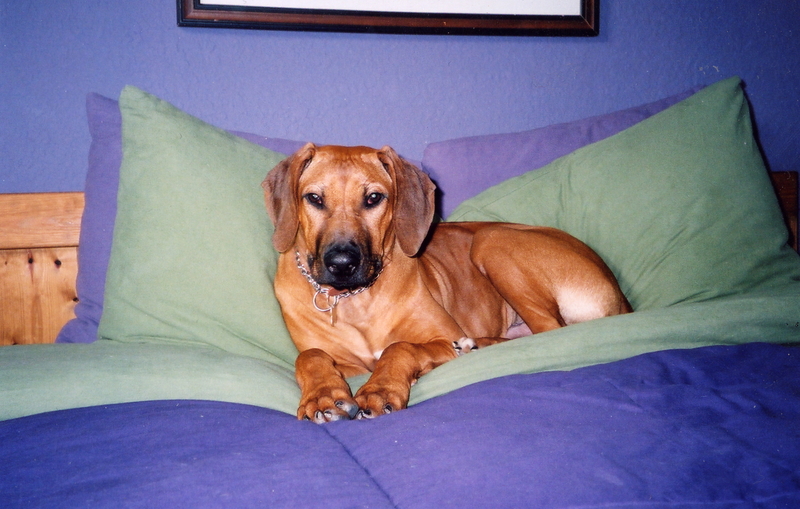 The Titus timeline starting on April 1 is long and eventful, but the most amazing thing is the way he went 5 miles from 51st & Hampton, to my former home at 94th & Burleigh, arriving the very first night he was gone. He barked in the night, but he eventually moved on. I had moved the summer before, but what a smart dog, he went to his former home of 7+ years, but finding nothing there, he wandered down to the parkway, his "stomping ground". Titus was a cute puppy. I started a massive flyer campaign and published a personal website www.godsinsomniac.com. (The complete story can be found there). Pictures of Titus appeared everywhere and something amazing happened: hundreds of people started looking for my dog. They were helping me out because they wanted to, something inside them just said, "we've to got help this guy find his dog!" 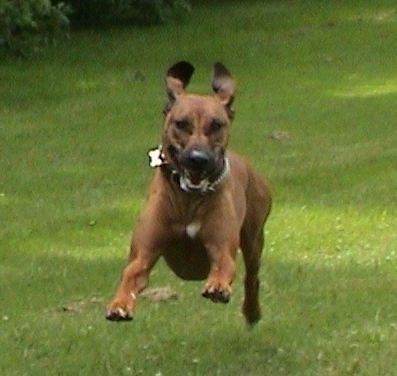 I started getting suggestions, phone calls, and e-mails -- and every now and then someone would spot Titus! His Google Sighting Map is really something to behold. People would tell me how they were carrying an extra leash, dog treats, and my cell phone number with them. People were driving out of their way to and from work. It was just amazing, and it never stopped. Everyone was looking! The optimism, the encouragement, the prayers...and then I got a phone call April 26, pointing me to Titus' lifeless body behind Best Buy near Mayfair Mall. It was him, and I was more crushed than I have ever felt in my life, so I wailed on tracks waiting for my family to arrive. When the news broke, scores of Titus followers and supporters were shocked by the unexpected result. I have received an outpouring of condolences and support from people near and far. Everyone is SO NICE. Which brings us back to Titus and his legacy. It was shortly after Titus' passing when the story was featured in a Journal Sentinal Article with the theme called "the kindness of strangers". I have met and heard from so many kind strangers, people who are genuinely crying for my loss. There is just something about Titus, and what I did, and what WE / ALL OF US did together in looking for him (and then grieving him) -- it has been an unforgettable collective experience. Who is Titus? 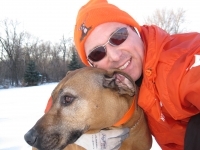 I can tell you, he was a good dog. Through his last days, he magnified the good in people, giving us an appreciation for our neighbors. And for anyone who has owned a pet, past or present, you're holding them a little tighter tonight -- it's OK, they deserve it. The world seems nicer, more gentle and real, thanks to Titus. God rest his doggie soul. 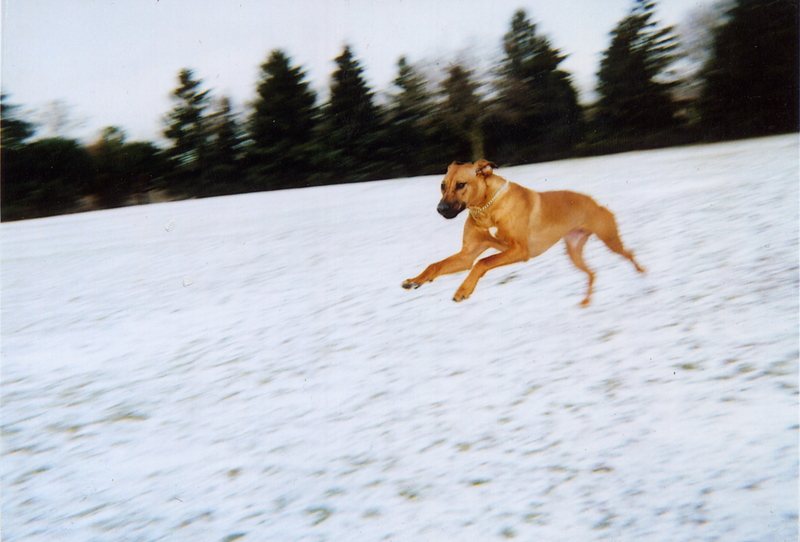 TITUS...running over the rainbow bridge. Rest in Peace.